If your impending doom at the hands of a murderous maniac wasn’t incentive enough to get out of the house and try something new, the upcoming Horror Movie Campout should do the job. 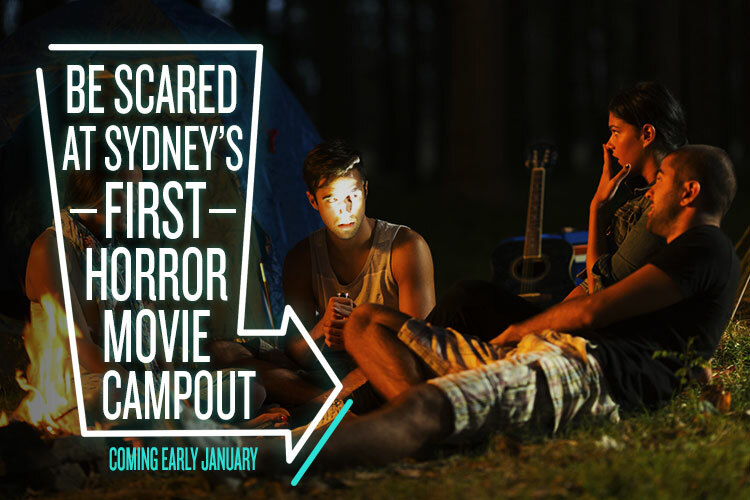 Coming to Sydney in January next year, the Horror Movie Campout is exactly what it sounds like: camping meets large open-air screenings of classic horror flicks. If that sounds like your cup of spine-chilling tea then run as fast you can into the woods to escape the killer who’s following you and to get front-row seats. $180 gets you tickets to the original 1973 version of The Exorcist and another horror classic chosen through social media by popular vote in the lead-up to the event. That might sound steep, but the ticket price also includes three-person tent hire, so you and two friends can split the bill, bringing it down to a far more reasonable $60 per person. Not bad for an evening of open-air cinema and live-action terror, all in an idyllic, isolated setting outside of Sydney (the exact location will be confirmed closer to the day). According to event organisers, live-action terror is: “a controlled fun environment where live scare actors will be moving around the campsite”. In other words, tickets to this thing will not only get you seats for the screening of two scream screen classics, but will also guarantee that a bunch of cosplaying sadists will scare the living bejesus out of you as you quickly duck to the loos mid-film. Or on your way back to your campsite. Or in line for the drinks tent. Or while you sleep. Or, literally, anytime, anywhere just like a real-life horror movie. As the organisers suggest: maybe it’s best to have Mum on speed dial. Just in case.